Let me get this straight even Kaspersky caused BSODs back in 2005 with it's kernel drivers. They fixed it! XIGNCODE-It's been 9 years of development and it's still a mess! Is EME/BHS helpful support passing forward to incompetent Wellbia doing something about these issues being fixed or not? Or even from any company? Just to be clear... you mentioned before that you got a BSOD with a different game's implementation in the past. Are you actively getting a BSOD now with TERA? If you're not getting the issue now with TERA, it's possible the issue you had is already fixed. If you are getting the issue now with TERA, you should send your diag and log info to EME in a ticket. Talking in abstract at this point isn't going to change anything, regardless of how anyone feels about the program. My point-> XIGNCODE-It's been 9 years of development and it's still a mess! That's a fact, not abstract! I can't believe that Wellbia's kernel drivers have not been fixed over the years! That's the problem! You think just because of a different game it will behave differently? You're the one being abstract! XIGNCODE IS XIGNCODE! If XIGNCODE really cares about their ANTI-HACK Tool behaving properly, it would have been fixed by now! The only updates XIGNCODE has is being more intrusive! So my question is why use it as an anti-hack tool? It's Wellbia that I'm mad at, not EME/BHS! 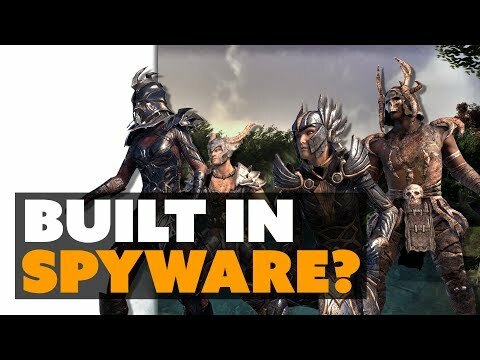 Majority of the community will state why they left is because XIGNCODE is intrusive, causes BSODs, and Wellbia doesn't even care to fix their problems. So my conclusion is replace it with something else or just get rid of it! People are going to cheat by bypassing it. So my recommendation was to go with server-client protection as a solution, which is always the best protection. I stated many of times! This is why I despise WELLBIA! I want to play again, but I'm not going through the mess of it being a legitimate player! So do me a favor-STOP TYPING, SO THAT EME/BHS CAN READ THROUGH THIS FORUM! IT'S DONE! They constantly read through this forum, and who the hell are you to tell someone not to keep posting? Misty please do us all here a favor, and stop posting yourself. You're getting on everyone's last nerve, with your unintelligible tirades, conspiracy theories, etc. We've already proved you don't have an inkling of what you're talking about since myself and Counterpoint pointed our your whole 'EVEN GOOGLE KNOWS IT ISN'T SAFE!!!!!! REMOVE IT NOW!!!!!" bull, but you keep on typing up these novels of non-sense and assumptions. Please, just stop. TERA has been in development since 2011, and it is still a mess, and the developers continue to make more messes out of it. What's your point? but at least they know they were wrong and removed. FWIW, Red Shell is entirely different type of software. Of course people can be equally against both, but they're not equivalent. ... Hey Misty, any up to date 2018 information? You are helping nothing but make those who really need help cant get what they need. Seems like more and more people are quitting everyday, such a shame too, Tera had so much potential BTW, how's that FAQ coming along? XIGNCODE is XIGNCODE. It's the same program. I posted a Closers link somewhere on forums, but I'll post again. May 29, 2018. Do you really believe that XIGNCODE is especially made for TERA, when it's still having hacks?https://forums.enmasse.com/closers/discussion/4624/bluescreen-of-death. Most likely today it's xcoronahost.xem that conflicts with kernal drivers or any kernal file. Xhunter1 doesn't exist anymore as far as I know it seems. According to the forum, it was a memory access violation. Sad I cant find anything with that name in Tera's Xigncode folder or process, and when i search internet... BDO. The person form you link getting help form other cause none on that post like you keep posting misinformation. you are SERIOUSLY annoying, whine whine whine and dredge up edge cases that are NOT the norm but you try to paint them as if they WERE. i've had zero issues with xign and further i have dealt with a variety of anti-cheat/hack software in mmos. what causes issues more often than not? OTHER SOFTWARE/HARDWARE unique to the system. major secondary issues? people trying to get around the anti-cheat software. i reiterate edge cases aren't the NORM kid...oh wait, i'm not being "nice" well that hasn't worked on you thus far since you seem intent on inciting a riot so how about this, show a CONSISTENT problem across ALL users THEN you have a case. as of right now you have nothing but your own panic. further, xign like every other anti-cheat software DOES change constantly otherwise it becomes ineffective as new tools to circumvent it are introduced, updated to work with AV and anti-malware as well as operating systems and updates to the OS. so you don't even know what the [filtered] you're talking about. Here I am! Reading the forums! How are you? If you've been having any issues since the last patch, I'm sorry to hear that and I want to assure you that we're constantly working on performance improvements. In terms on XIGNCODE specifically, most versions are different. We are working with Wellbia to optimize our version over time. For that to be most effective we need your feedback, so if you're having any specific (and especially consistent) issues submit a ticket. In the ticket page under Technical Support, we now have a specific XIGNCODE option. I hope you all have a lovely day and enjoy the Summer Festival today at 2:30 (with absolutely no crabs)! Hi @KitTeaCup, thanks for showing up after pages and pages of your customers asking you to. I'm sure we all appreciate it. Did you ever find time in the days that you didn't respond to us to tell us why you didn't notify us in the first place that you were putting a rootkit on our systems?